I had a great night’s sleep and woke up refreshed and cheerful. I made coffee and turned on the BBC to check the weather and news. One thing I noticed about myself as I woke up that morning: I was still in girl mode. Waking up after yesterday adventures, wearing feminine PJ’s with my French manicure, I felt so feminine and womanly. In the past I always gave myself an assignment to walk this way, hold my hands a certain way or sit as a lady. In other words, act more feminine. This morning I wasn’t acting feminine, I was feminine. I could have easily worn jeans and a T-shirt and stuffed my hands into my pockets to hide my nails. In fact in the past, I probably would have. But today it just felt natural to reach for a dress. I love getting ready, makeup, foundation, dress, jewelry, hair, a splash of Channel --- what a confirming ritual. Off I went onto the streets of Reading. I wanted to go to church, but found I was late, so I went by the church as it was letting out. I sat on a bench, enjoyed being part of the Sunday crowd and enjoyed the beautiful grounds and history of this beautiful structure. If you have been paying attention and you are a regular reader of my articles, you’ll know there is one place I haven’t stopped by yet. That’s right, sisters M·A·C. The day before the M·A·C store had been so busy I could not get in. When I went by this Sunday morning, it was empty. I asked the makeup artist about matching a lip pencil to the lipstick that I had brought with me. She found two shades. I asked if she could try them on me. “SURE!” was her response. We sat down in front of the mirror and she began to create a cupid’s bow. I explained to her that I had trouble making a cupid’s bow. I went on to tell her that when I was a child, I had tried my Mom’s makeup and my sister’s clothes and that I always wanted to be a woman and now I was doing my best to fulfill that dream. I explained to her my plan was to spend as much time as possible that week as a woman. She asked me all kinds of questions about America and said it was her dream to live there someday. I shopped my way thru Debenhams and House of Frazer, Zara and a whirlwind of other stores. Then I stopped at Marks and Spencer and bought some fresh fruit. Finally around 2 PM, I made my way back to the apartment to rest a spell before meeting up with Jenny for dinner and a concert. I made my way to the front of the hotel to meet Jenny at 4 PM. She was right on time and in order for Jenny to use the car park at my hotel, I needed to advise the front desk. Being in the apartment section of the hotel, my phone wasn’t part of the switchboard. I tried numerous ways to contact them over the phone with no success. I really didn’t want to out myself to them, but if need be, I would. A few years ago when I first started to go out as a woman, one of my biggest fears was forgetting my key and having to go up to the front desk to get another. Nowadays, it doesn’t bother me at all; to tell the truth, I kind of like doing it. I chalk it up to self-acceptance. Thinking there would be one lone clerk on duty was not the case. There were about five employees huddled around the desk when I walked in. I got better service and attention then when I was drab. They even offered to drive the car around. What was lovely is nobody reacted in anyway other than me being a woman nicely dressed for the theater. Jenny and I made our way over to a riverside park to take a few photos. It was fun taking a bunch of photos and not having to use a self-timer. It was then back to the hotel and an adjacent restaurant for a charming Italian dinner. The same restaurant I dined in the night before and was Ma’amed, but I noticed tonight when the check came they slipped up on the pronouns and used “Sir.” Being properly gendered is so important to me, so I hope it was because of the name on the credit card. We had about a 20-minute walk (in heels) to the theater. Appearing was the London Concert Orchestra performing a program of James Bond theme songs. We had a pleasant stroll through the pedestrian mall of the Reading shopping district. It was Sunday evening and the crowds were thinning as we made our way along with other ladies and couples to the concert. We bought our tickets at the box office and had a pleasant conversation with two women our age about the performance and our nails. We found ourselves a table and enjoyed a glass of wine while waiting. Jenny works as a professional musician and as she was reading the program for the evening, her eyes opened wide when she saw the name of a colleague! I would have fun during the concert teasing Jenny about being seen. I have to get my digs in somehow --- I still can’t get over the fact she wears a size 7 shoe! The concert was fantastic and having a professional musician there to explain all the subtleties of the program was wonderful. Going to a concert was on my bucket list of things to do as a woman and made me feel very good about myself and how far I had traveled on the Good Ship Lollipop. Walking back thru the deserted streets of Reading at 10 PM made me realize what it feels like to be vulnerable as a woman. Wearing high heels, hose, a dress and carrying a purse doesn’t allow one quick movement. Walking past bus stops and doorways filled with nefarious looking characters chilled me inside. As much as I love dressing glamorously, it makes one question the illogical dress and uniforms that society and our culture assigns women. Nervetheless, I’ve waited too long to wear my bra to turn around and burn it in protest. I respect and admire women and that’s why I want to be one. That whole experience makes me identify even more with them. Monday morning came early. My feet still ached from walking all weekend in heels, my nails were a wreck from the glue, and there were traces of eye liner left on my eyes. I felt great! It was a bit surreal as I went through my day in a daze. I was tired and when I got back to the room, I showered, then shaved and laid on the couch for awhile. Soon rested and hungry I hesitated only slightly when deciding what to wear. Opportunities like this week don’t come along too often for me and makeup and dressing was no longer the ordeal they had once had been for me. It was now a pleasurable routine that could be accomplished in less than an hour. Luck was with me and I found a pair of Lee Press-on Nails in a seldom used section of my purse. Womanless beauty pageant contestant in Hattiesburg, Mississippi (2014). "Womanless beauty pageant contestant in Hattiesburg, Mississippi (2014)." Not a civilian!! She's into it!!!! (S)he is lovely and the gown and presentation are gorgeous! I typed "(S)he" on the probably small chance that "he" is actually not transgendered, and just a very open-minded young man. Can you post a link to more photos and info from this womanless beauty pageant? Thank You! It is really nice to see how comfortable and at ease you have become in getting out and about while dressed. You present as a neat and pleasant conservative lady. Good job. I echo Pat's comments - you're presentation and mannerisms are a great study in feminine deportment and confidence. Your write-ups are always refreshing and interesting as well. And your candid feelings living as a woman on a more regular basis resonates with me as well! I was fortunate to spend this past week in St. Paul MN at a LGBTQA conference as a presenter and the opportunity to go out dining and to the theater, the art museum and shopping with my wife, and loved every minute off it! I suppose I should submit a write-up to Stana about that for consideration, it was so very liberating and affirming and we were always called Ladies. I look forward to your future travels. I would welcome your write-up, Jeanine. 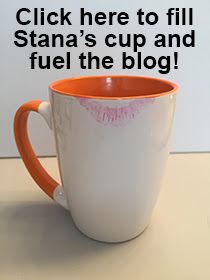 Thank You - If I can find the time Stana, I will put something together. I have done nothing much more than shovel snow the past 4 days (we live in northern WI). It's putting a crimp in my corset! Hi Paula to Paula, the London Concert Orchestra is a scratch orchestra assembled for each concert from freelance musicians, so there is always a chance of meeting a fellow musician at these sort of concerts. I always check the program to see if anyone I know is playing. What instrument does Jenny play? I regularly play in the London Gay Symphony Orchestra, they were the first group I played with as Paula, (now I all of my musical life is fem) they are very accepting and really do serve all of the LGBT community in London. I found that combining my femininity with my passion for playing music was totally liberating, and instrumental (sorry!) in getting me to the level of peace with myself where now I am. If Jenny would like to try this I am sure we would welcome her and that she would enjoy the experience.